People of Scotland, We would like to ask you two quick questions. The answers may change your life. You may not believe us, but it’s now possible to place new dental implants in half a day. 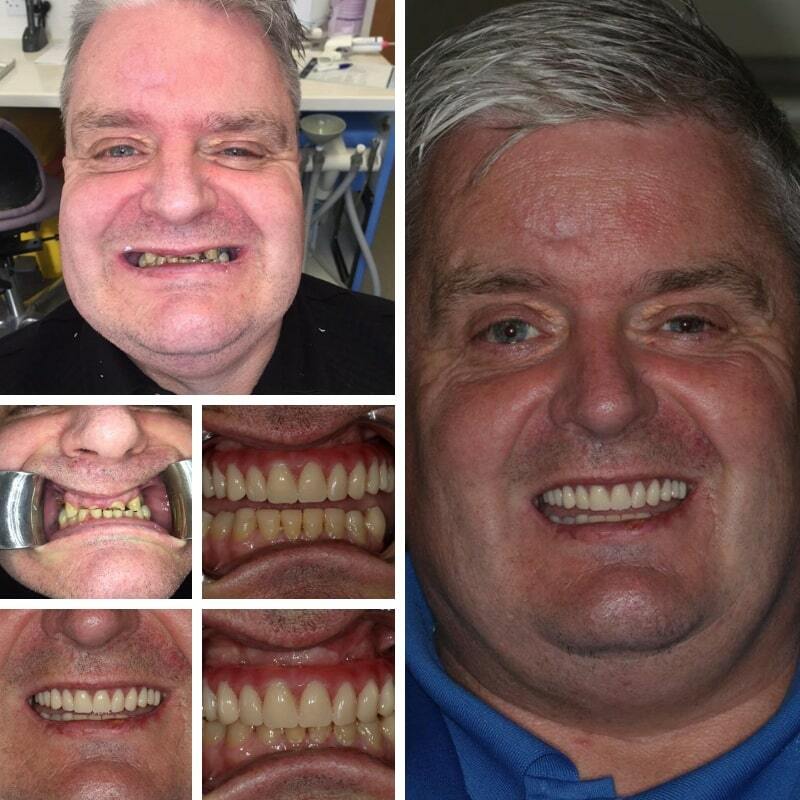 If you have some or all your teeth missing, with a bit of planning at the start, we can often place implants and place new teeth on to them, allowing you to chew, smile and feel happy about your appearance on that morning or afternoon! How amazing is that? Dentistry On The Square are revolutionising dental implant dentistry in Glasgow. Treatment can now be carried out in half a day letting you get back to your life much sooner. In the past, patients used to wait three to six months for treatment to be complete, but now, most of the dentistry and the treatment can be carried out in half a day. In addition to advanced scanning technology we also use a “Gentle Laser” to fit teeth implants, meaning your treatment is virtually painless with minimal swelling and infection. First Off, What Exactly Is A Dental Implant? How Successful Is A Dental Implant Treatment? We’re offering you the chance to receive a Complimentary Guide to Dental Implants which, reveals how you can finally put an end to denture suffering and missing and wobbly teeth. Our guide reveals medically tested principles and advice on dental implants. And explains how to improve your smile, and move away from ill-fitting, irritating dentures that pop-up, gag you, fly out or get stuck when eating. In addition, the Dental Implants Guide covers all aspects of your dental health, because we want you to know all the facts and what hidden dangers you may face if you stick with your dentures or missing teeth your entire life. Get Your Free Dental Implants Guide Today! We have been informed our guide to Dental Implants has been a great help to a number of denture sufferers with missing teeth. Additionally, dental implant treatment has also helped to improve personal relationships for my patients and to build up their self-confidence and make them feel brighter and more alert than normal. If you, a friend or family member are experiencing problems with dentures or missing and wobbly teeth this could be the most important guide you will ever read. Would you like to know about our dental implants treatment? We offer a Complimentary Consultation so you can come to the practice find out more about Dentistry On The Square and the implants treatment. It also gives us the opportunity to find out more about you and your needs and let you know if you are suitable. Just pop your details into the form below for a Complimentary Consultation with your Smile Advisor, Elaine or Dawn.